Participants when through the various design thinking processes. The training commenced with the empathy stage. Facilitators used the empathy mapping to engage and train the students to develop a sense of empathy towards their customers. This helps them gain insights into what they need, what they want, how they behave, feel, think and why they demonstrate such behaviors, feelings, and thoughts when interacting with products and services. They also gain insight into their pains and gains in acquiring the product and services. Ideation stage in this stage students were thought the four rules of ideation and were told to use the idea napkin to brainstorm and generate a large number of innovative ideas and solution as possible and not to just focus on what can be done. They later clustered those ideas to get rid of duplicates, and use impact effort analysis to help them organize their ideas based on the impact they would have and the effort they take to implement. Finally, they were able to narrow down their ideas to a single solid idea that encompass the whole lot. 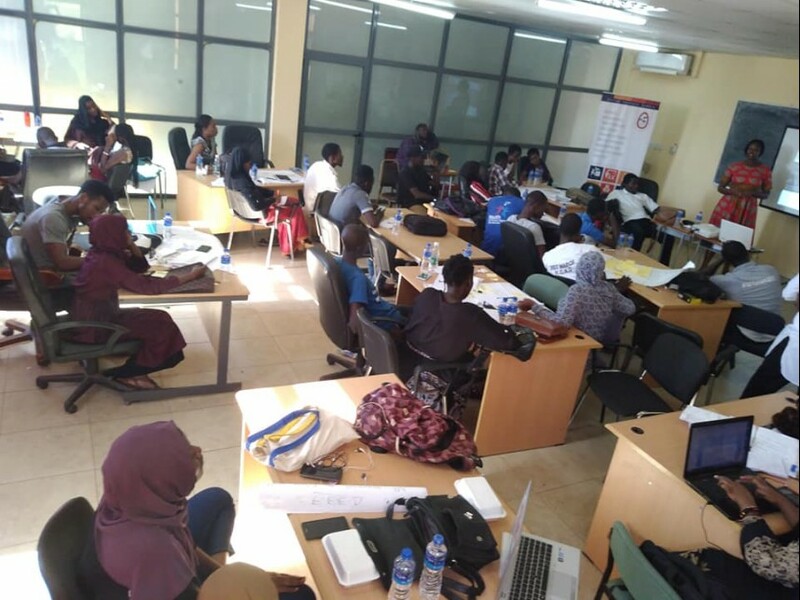 During the prototype stage, the facilitator asked the different teams to recap on their previous findings on the empathy and define stages such as identifying the problems they are trying to solve, why they want to solve the problem and the stakeholders they are solving the problems for. Must of the teams came up with the same findings and ideas of a social enterprise such as recycling waste, Waste management, renewable energy and Fish etc so must of them target the same stakeholders. The facilitators brought to light the concept of pitching, it further amplified that a good pitch entails all the elements of the different design thinking stages and it should be short, and explain your idea and why investors should invest in your idea and what value it will create for your customers. The various teams were thought through the 10 step pitch deck and the five tips of delivering a captivating elevator pitch.